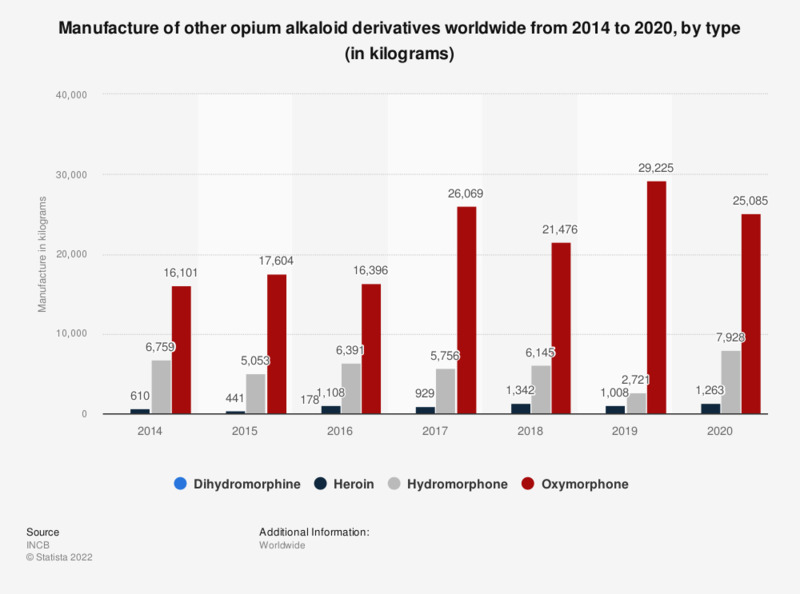 This statistic displays the manufacture of other opium alkaloid derivatives globally from 2010 to 2016, by type. In 2010, there were 898 kilograms of heroin manufactured worldwide. Natural alkaloid demands remained relatively high in the last few years. Australia and France are two of the main producing countries.